Toronto Blue Jays: Will The 2018 version be better than the 2017 team? Blue Jays: Will The 2018 version be better than the 2017 team? The Toronto Blue Jays surprised many last season, and not in the good way. Even we misjudged their abilities before the season began, but we were quick to fade this team once the lack of offense showed early on. And thank goodness we did. We know it hurts, but we'll take a look at the Jays' 2017 season again and give you a preview of the 2018 campaign. Will this squad be better. The Blue Jays' story seemed to have already been written even before the regular season began. The theme of that story? Injuries, injuries, injuries! All Star Josh Donaldson suffered a serious right calf tear during Spring Training. Even when he returned to the lineup, he was still affected. While Donaldson not being at 100% was bad, it wasn't the only injury. Dalton Pompey, a prospect, didn't even get to play after going on the DL because of an injury at the World Baseball Classic. Starting off the season with an anemic offense, their starting pitching was actually what kept them in games. An injury to Francisco Liriano put a damper on that, and their bullpen suffered after a Roberto Osuna went down the same path. Aaron Sanchez's blister acquired in Spring Training left him less than effective as well. All this led to an abysmal 1-9 start to the season. While hard to surmount, it was still possible. But more injuries struck. Another starter in J.A. 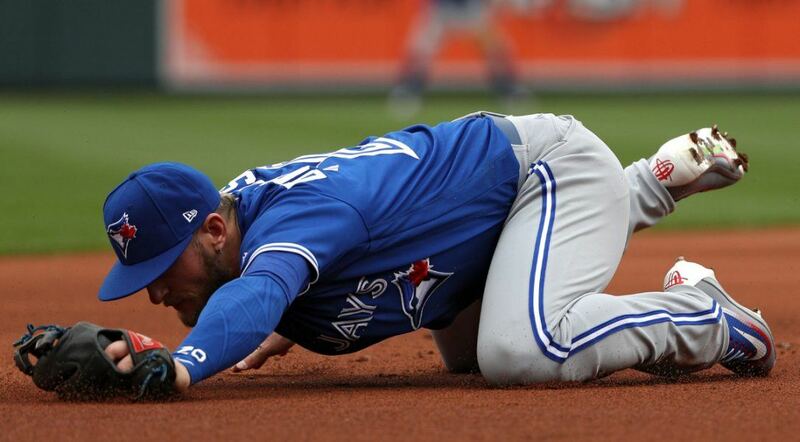 Happ got elbow problems, Steve Pearce and Devon Travis sustained knee injuries, and Troy Tulowitzki got the 1-2 punch of hamstring and ankle injuries during the season. Adding insult to injury, Jose Bautista just wasn't performing as he should have been. One bright spot was Justin Smoak, who played well enough to get a place on the All Star roster as a starter. He finished the season with 38 homers and 90 RBIs. To add to that, once Donaldson returned, he had a killer second half to make up for his lost time. In his 57 games from July 24, he was batting .300/.410/.690, with a stunning 24 homers and 49 RBIs. Acquiring Kendrys Morales was also a good move because of Bautista's ineffectual play. The latter finished the season only batting .203. As a whole, the Blue Jays finished the season 76-86. May was their only winning month (if you don't count their one game and one win in October). In the AL East, they finished 4th, just above the Orioles, and did finish with a winning home record. It's the first season since 2014 though that they've missed the playoffs. Is it just a blip? Or will the trend continue this year? Can They Soar Again in 2018? So will this version be better than the 2017 model? Well, Jose Bautista is now gone from the team and entered free agency. And based on his performance last season, that's a good thing for this team. Morales is a more stable slugger and should produce more offense for the team this up coming season. That brings us to another positive going into 2018: the new additions. During the offseason, the Jays brought in Aledmys Diaz and Randal Grichuk from the Cards, Yangervis Solarte from the Padres, and free agents Jaime Garcia (formerly of the Yankees) and Curtis Granderson (formerly of the Dodgers). This squad, if they avoid injury trouble, should be enough to compete for a playoff spot. Chances are they won't run into the disastrous luck they had last season with players on the DL. Donaldson should be available for more games this year, Smoak should have another decent year, and the newcomers seem poised to make this new-look Jays team contenders. They might not win the AL East, but a Wild Card spot is attainable. Sports Interaction has them at +503 to win the division, so it's not completely out of sight. They are sixth favored at +1300 to win the AL Pennant as well. Their World Series odds aren't that bad either, but we remember how they were overvalued last season during this time. The regular season is still a while away, so don't look for the Jays to sit idle in the upcoming weeks. Hopefully, they'll get a decent starting arm on the roster now. We will watch and wait.